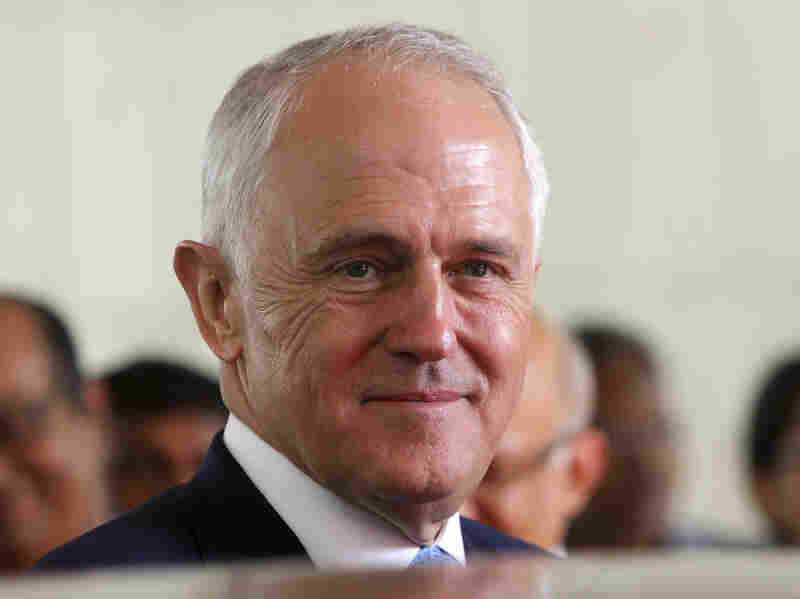 Australia Plans To Tighten Rules For Citizenship : The Two-Way Prime Minister Malcolm Turnbull has proposed longer wait times, stricter English language requirements and a revamped "Australian values" test. Australian Prime Minister Malcolm Turnbull earlier this month. He is proposing tougher requirements for citizenship. It may soon become harder for immigrants to become Australian citizens. Prime Minister Malcolm Turnbull proposed sweeping changes Thursday. In his speech, Turnbull tried to stress the importance of maintaining Australia's diversity, "when an Australian can look like a person from any race, any background in the world, but what we share are those values. And our citizenship process should reflect that," he said. But The New York Times reports, "the moves put Australia at the forefront of a global movement to limit migration and to turn citizenship from something meant to help people integrate into what Mr. Turnbull called a 'big prize' — a reward for having assimilated." Senator Penny Wong of the opposing Labor party told the Australian Broadcasting Corporation that the changes appear to be designed for political purposes. She said, "If English grammar is the test, there might be a few members of parliament that may struggle." Before going into effect, the new rules must be approved by Parliament.